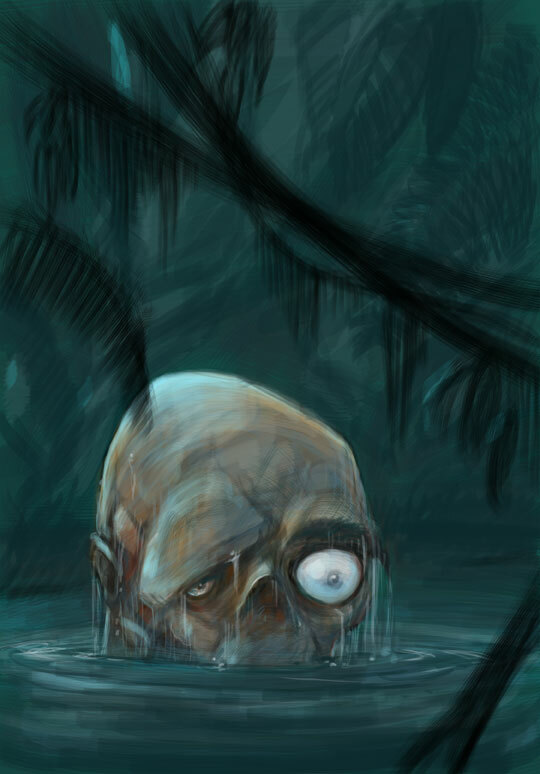 Here is a quick edition update to the last entry I posted. I knew when I inked the Captain Spectre piece it was going to need color to clear it up some...so I couldn't rest til I saw it with some color on it. So thought I would post it sooner than later. Also with more and more conventions starting up in the central plains/midwest area and with my new plan of starting to get to more of them and advertise a bit more, make some friends and fans, and actually get some work published ( the number 13 from Sequential Pulp/Dark Horse) and self publishing Captain Spectre...I figured it was time to look into a new banner. As I was looking around I found a place that has those roll up display banner things at a good price. Those things used to be so expensive I couldn't justify them, but now it seems they are cheaper and you can get two for less than just one of them used to be. 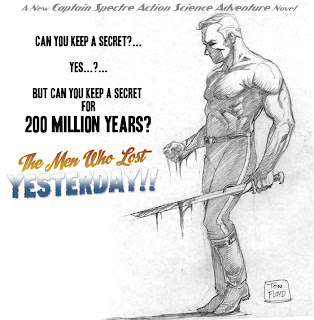 So I decided to promote two things, my art - myself, and Captain Spectre and Action Science magazine. So here are a couple of designs I churned up. Well things are starting to shake loose and move forward again, even I have to exclaim, 'it's about time'! 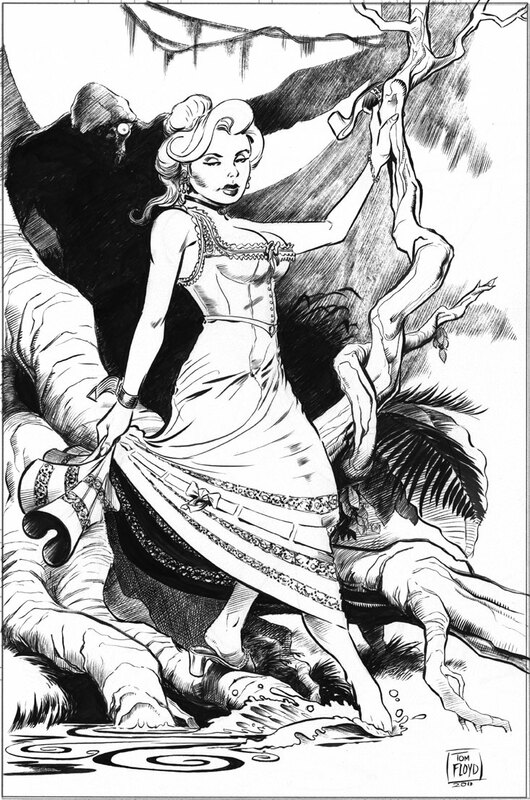 Here are the inks to Virginia Maxon splashing in the water, as her new future friend 'number one' looks on. A true stalker before the term was used. This piece was done with a bit of a new process, no the brush was still pulled across the bristol board and all that labor and sweat still prevails in the piece. 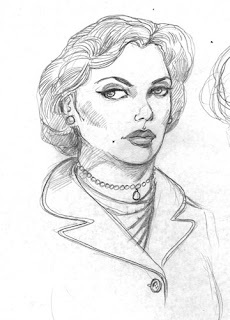 But I did incorporate a bit of technology as I sketched it out until I was fairly happy with the drawing, then printed the pencil drawing in light blue on the bristol board, then inked that board. This was done with the help of a new printer. I haven't had a printer at home for about six years and sometimes it has been a real pain. 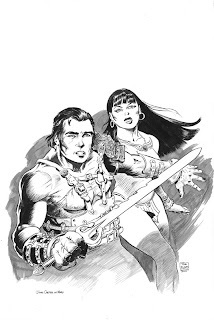 So I finally sprung for a large format printer that can handle bristol board and most papers up to and including 13x19, for some reason but I have never seen 13x19 paper sized anywhere. Anyway it will print an 11x17 borderless and that is what I wanted. 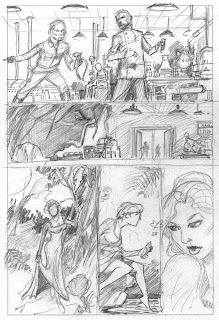 I hope it improves me drawing speed a bit since I can now sketch out panels for a page concentrating on just the panel image, then scan them all and composite them in photoshop to get the sizes and panel flow just right. 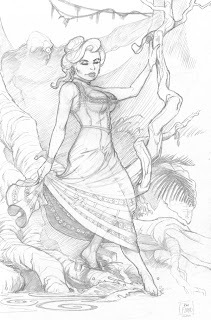 I then print them out in a light blue or very light grey and I can ink them. 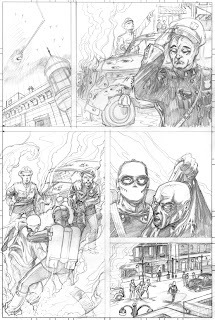 It kind of skips the full blown pencils stage, but with me inking my own work full blown pencils are destroyed in the process anyway as after i ink them i erase all the pencils. So anyway experimenting with it all to get the best results with consideration of upping my production rate, which is very slow. Also another 'concept' cover to Number 13. This one goes for the creepy got to grab the reader at the newstand kind of marketing. Plus I had fun doing it and like it alot. It is done totally in photoshop, so no original to sell. Alas the curse of a digital world. 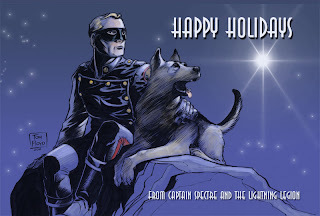 Also I know I have neglected Captain Spectre a lot lately. With all my problems and jobs and things going on he never leaves my mind. I am planning several things which I will reveal in the future. 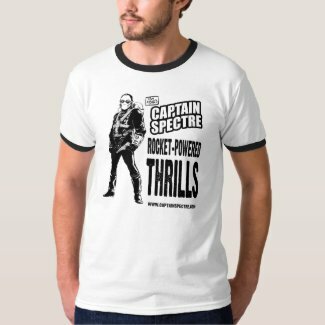 But for now a little taste of some good ole' Captain Spectre. Also this is one of those pieces that just screams 'finish me'! 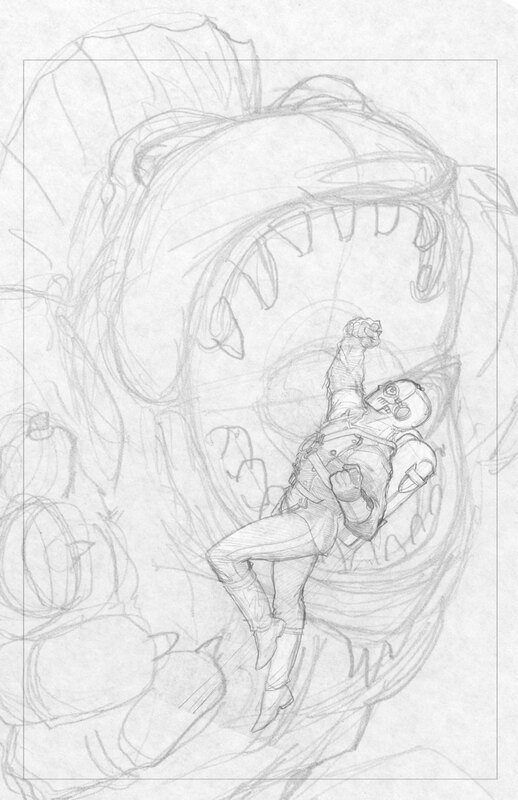 So expect to see some finished pencils and inks sometime very soon. Yet another long overdue report! I am truly sorry for the lateness of this progress report, such as it is. More than a week ago I woke up with a leg that was throbbing with pain. It felt like that nano second when you get a super cramp. The problems were that it covered my entire leg, not just one muscle or muscle group. It went from my hip socket to my toes. It had that sharp cramping feeling, but the cramp never came, just the pain. And it lingered for a couple of days. I was still under the assumption that I had some form of cramp. I have had alot of cramps in my legs since I was a kid, but this was something new. So I gave it a day or too. Nothing changed so I got worried. Again thinking it was something to do with the fibromyalgia, which it did turn out to be. But before the doctor would own to that, I was checked for other things like blood clots and all that. Especially since all I do is sit. I drive to sit, then get up to drive to sit some more. I am a professional sitter, ha. Anyway I was scanned, poked, drained and prodded and it seems more nerve things are going on. Oh boy. I am still kind of down and out because of this. Even tho I am sitting 99.9 percent of the time, the pain is kind of distracting for sure. Anyway add that to the arthritis and the rest of the fibromyalgia I have and it makes for a great combo of pain and stiffness in the joints and muscles. So needless to say things have been moving slowly here at Lightning Legion secret HQ. Also when I was in a late night pissed off at all the pain I started a impro kind of life strip that I will try to work on when the pain is too much to do any kind of quality work...ha. thanks Legionnaires for baring with me. Well Legionnaires, it is about time I posted an update. Sorry for the delay in postings, but as you know from past mentions, my home computer went down with a video card malfunction. So many dollars and days later I finally have it back and am up and running. Also there are some health issues, which is going to be a constant in my life from now on. So I am still getting used to all of that too. Then throw in the day job, domestic duties, and all normal things and life really zooms by. 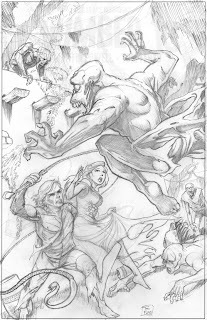 Also I am beginning the layout process for 'number 13', the adaptation of ERB's Monster Men novel. 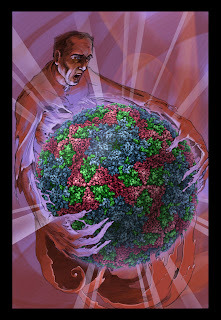 Speaking of the 'number 13' project, I will be pimping it at the I-con convention in Des Moines Iowa this coming week. On Sept 17 I will be at the Adventure Land inn in Des Moines at this great little event. It is a one day con with tons of Iowa comic fans. Such a good group of people put on the con and attend it too. I haven't been to a con in quite awhile and really don't have anything to sell, other than myself, ha. But I need to get out more and will be there all day on Saturday, the day of the con. 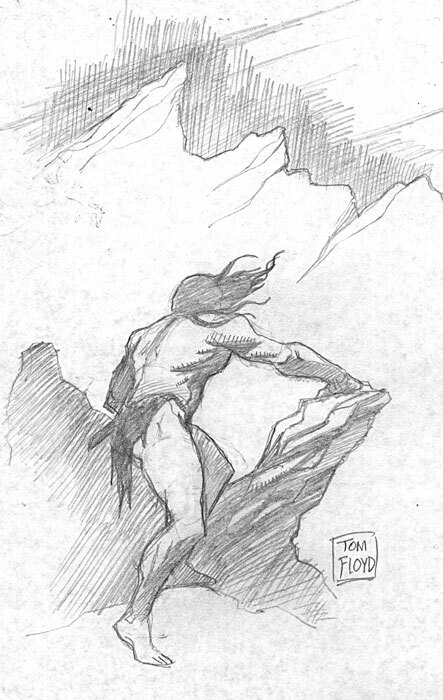 I will try to do as many sketches as I can for fans.....so if you are in the area please drop by and shoot the breeze as I try to get more people to join the Lightning Legion and look forward to the 'number 13' book. I am still working on costumes, and have actually asked a person that is a professional costume designer to pick some period costumes for me in this project. We are keeping the period the novel was set in which is around 1913, so that will be a challenge in itself. Also so many little things have happened and are going on since the last update. I received my two action figures and they are more AWESOME than any photos can do justice too. Hence I don't really have photos of them to show other than the ones you have already seen here. But they will be making the journey to Iowa with me, so they will make their premiere at the Iowa I-con show at my table. It is what I got them for was to attract people to the table, so I can tell them all about the strip and stuff. ha. Things have kind of been crazy lately, but here is some progress made on another page of Captain Spectre's 'Solo Flight'. 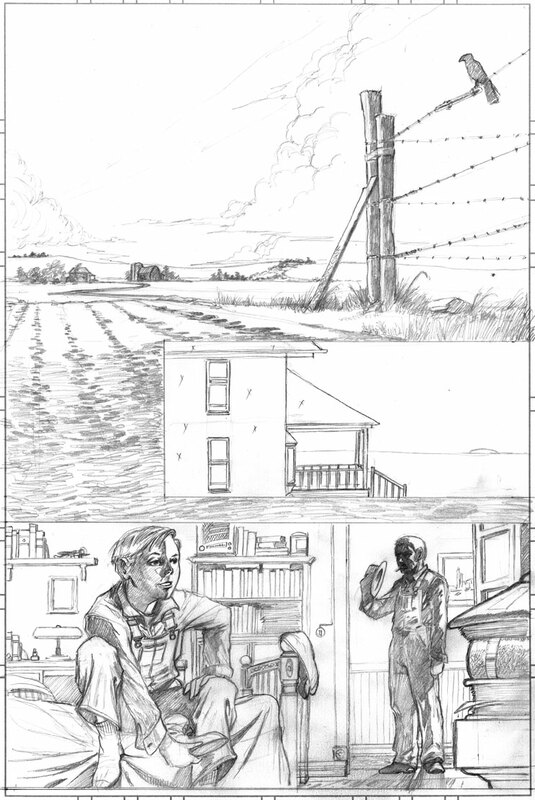 I have changed the layout for this page several times, in an effort to try and get as much story as I can in these pages. 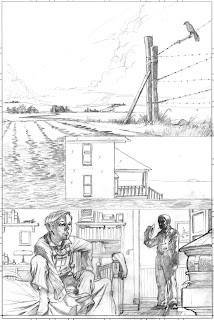 So there are some fast scene changes, and some compressed story telling, which is sore point in new comics to me, is the decompression to the fact sometimes in an issue of a new comic.... nothing happens!. Anyway hope you enjoy, since it has been a bit tough. My pain problems have been an issue the last week or so. 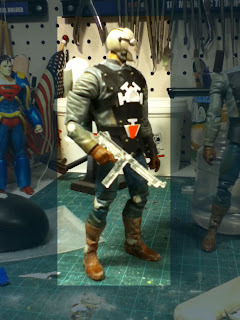 Here is some great progress made on the secret Captain Spectre six inch action figure!....Wow is about the only word I can get out of my mouth as I look at each new picture of the work of Jonathan at PackRat Studios. He is doing some great stuff, and even casting the head. Man this is gonna be cool. Once finished it will have a great display base and in one of those glass domes for display at the con table when I start returning to those. Hopefully next year he and me will be making the rounds. Of course when not at a show, I will be playing with the figure......hey, we here at the Lightning Legion test all our products....that is the fun of it all. 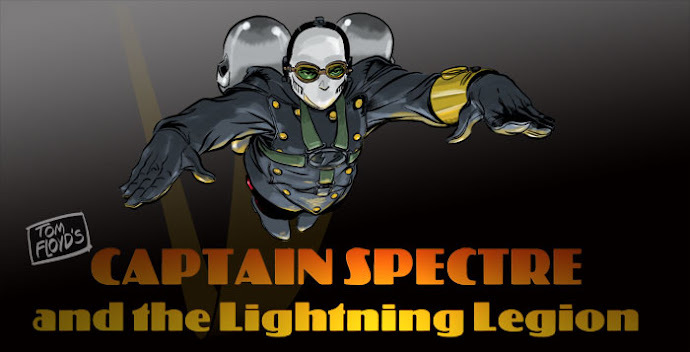 So get over to Jonathan's site and check out the progress shots of Captain Spectre, and all the other cool stuff he does....amazing. Ok, you win, I am officially eating my hat....as I said I would. I actually liked the Captain America movie. Oh sure there were parts I didn't like....but I thought the spirit of the character made it into the movie. The origin was the best parts of the movie. And Chris Evans pulled off the character nicely. It was sure nice to see a hero on the screen that wasn't wallowing in his own self pity. 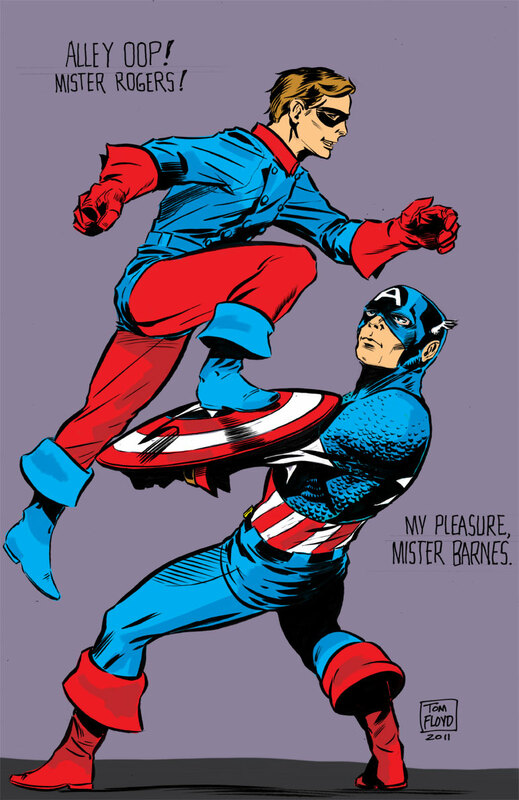 During the war I admit Steve Rogers didn't have too many demons he wore on his sleeve. And many people gripe that Rogers is a flat character. I on the other hand don't think he is. He can be written as a good character without having demons hanging on his shoulder all the time, which is what people want it seems. 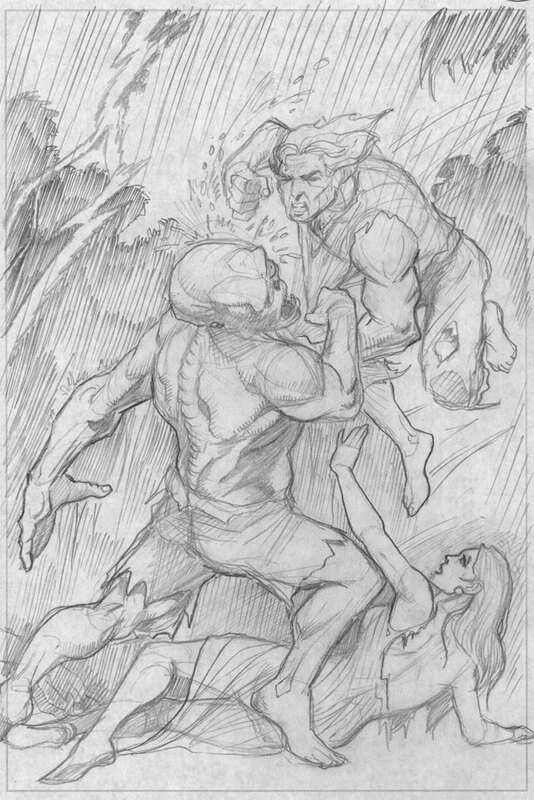 But in the end Cap has one of the largest demons of any hero .....EVER (Superman has the same problems). He wakes up to find his whole world gone....not just his parents, or something. He has lost a world, a way of life and all he ever knew. And Chris Evans nails the last line of the movie showing this. Going into the movie I hated the way Bucky and Steve's relationship was changed. But actually in the movie not much of that comes thru. 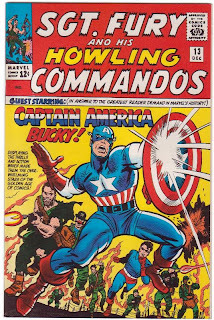 And actually to me the Bucky character wasn't much at all. I just pretended he was a regular friend and member of the team, and it didn't phase me much at all. Even his death was toned down. 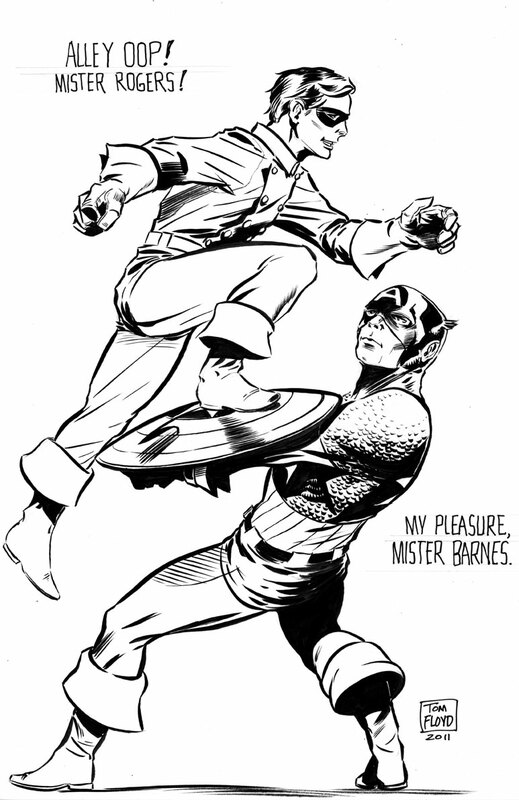 The Bucky I know and like is the one from the rebirth stories in Tales of Suspense and the early Avengers. 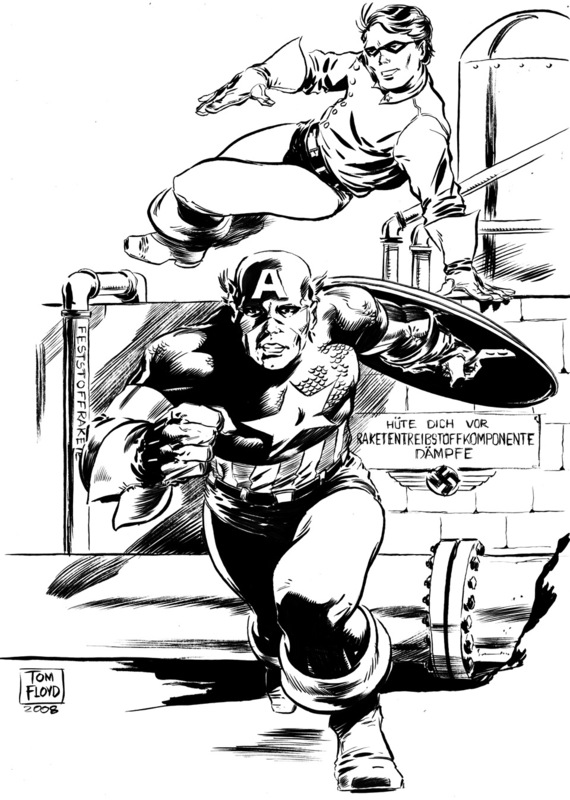 Bucky on the buzz bomb yelling to Cap that he sees the fuse and can stop the bomb, as Steve falls down into the water. The bomb blows up as Bucky is trying to save people's lives. Over the years writers have changed this alot. 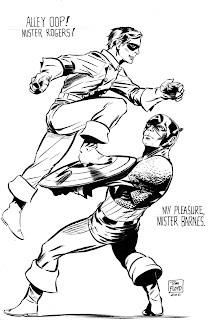 Hell even when they show it on the new Avengers cartoon show they change it too Bucky telling Cap to dive off the buzz bomb as Bucky's foot is stuck on the bomb. Not that he is trying to save people, just that he is stuck and can't get off so decides Steve is more important and needs to leave him behind. 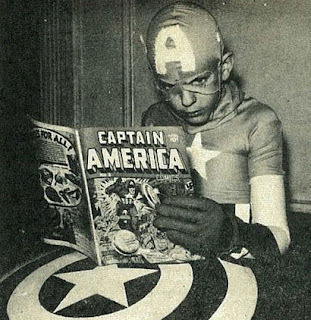 Sometimes Hollywood or modern writers forget what a hero is. Then of course is the costume. I still don't like it, but I guess by the end of the movie it was growing on me. Actually it changes so much thru the film and even into the Avengers movie that it is kind of interesting to watch it's evolution. 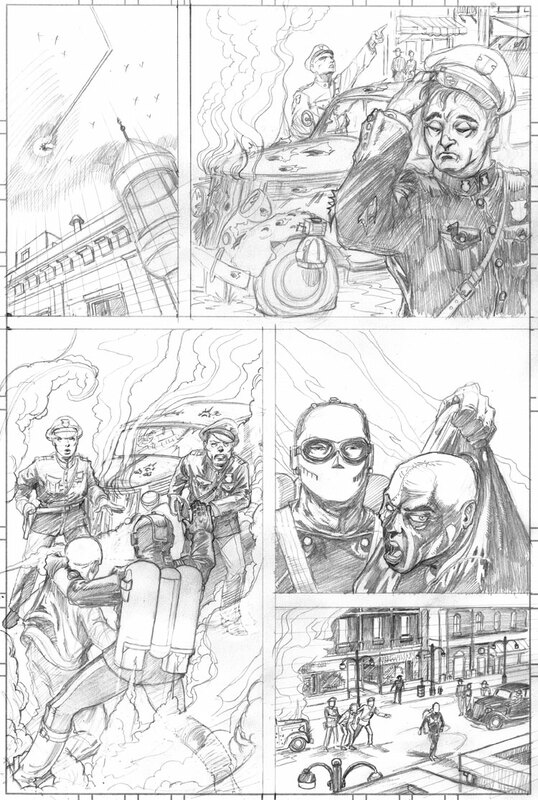 Also just like an old comic, we figure Red Skull is in Asgard or one of the nine realms, and of course we didn't see Bucky go splat, so both can come back at a later date. I hope not, but they may. Anyway it was an enjoyable movie, sure it had it's problems, like the lack of any story other than the origin. 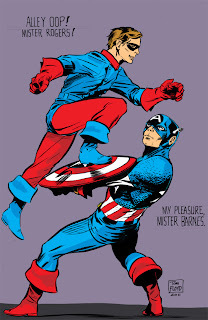 It also had it's good parts, and again the origin is the best part, that is who Steve Rogers is. Still chewing on my hat, as I will buy the DVD....kind of wish I had seen Thor now. But will get the DVD's of them all. Actually looking forward to having a Tales of Suspense movie night.....Iron Man, then Captain America viewings in one night. Lightning Legion progress on all fronts! There can be alot said with the title of a comic book story, I think. 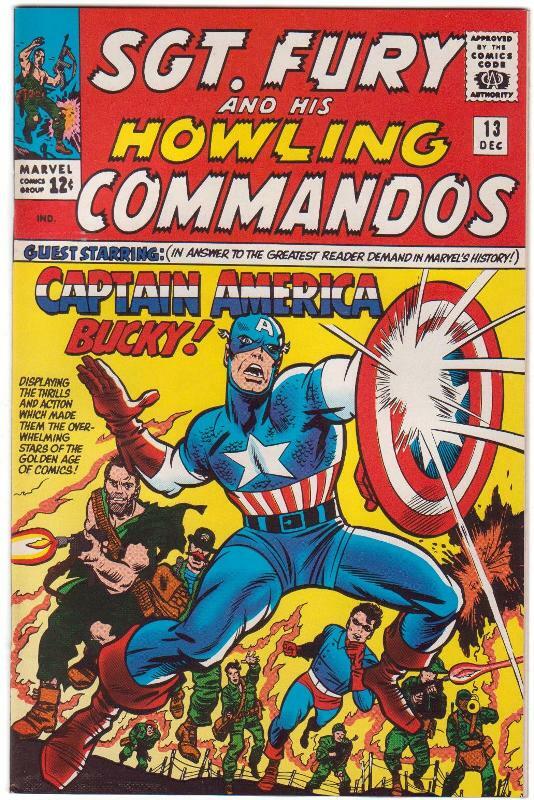 Sometimes as a kid just seeing a certain cadence of words on a comic cover got me to buy it. Because when we are kids, at least my experience was that I didn't have enough money to buy all the comics I would have wanted. 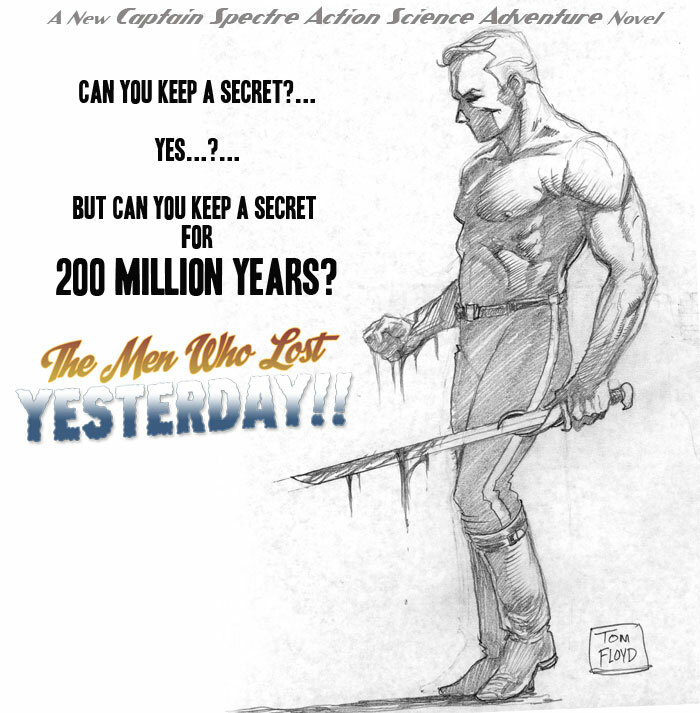 The titles would attract me to certain books....especially in the silver age.....Challengers of the Unknown, Journey into Mystery, Tales of Suspense, The War that Time Forgot and on and on. 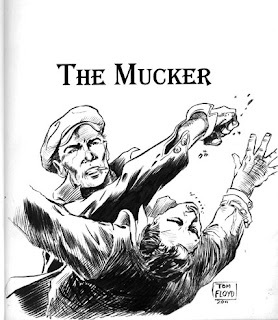 Books had great titles back then. 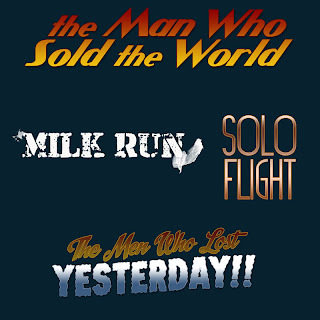 Then there were the great story titles too. So up at dawn, actually before dawn, and I started thinking of how many stories I have been working on. 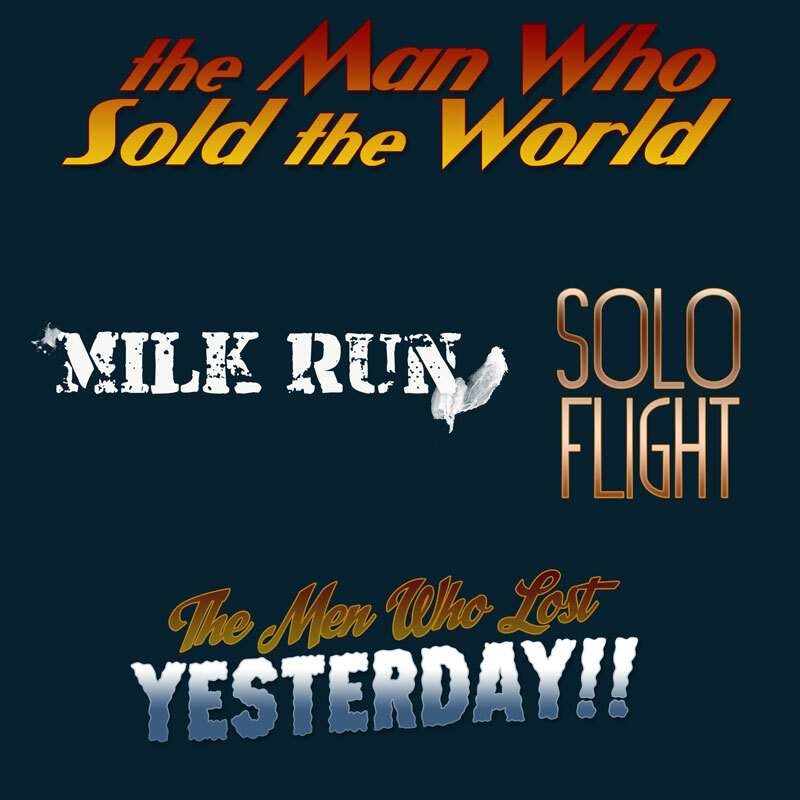 They are all in various stages of development and they all needed a title treatment. See if you Loyal Legionnaires can figure out the stories just from the titles. 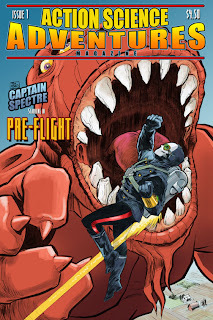 Of course 'Solo Flight' is the first Captain Spectre story. Then some great news to share. And again let me say what a world it is with the internet. 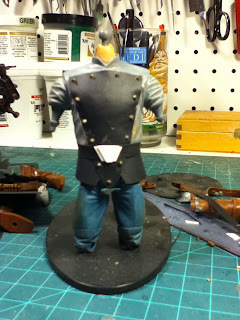 I had been following this blog for awhile; PackRat Studios. So I shot him, Jonathan, an email since he had posted he was doing commissions......and lo and behold look what has happened!!!! How cool is this Legionnaires! Also I have been thinking about my childhood alot lately. For better or worse I remember the best times of it and consider my childhood a pretty good one. We didn't have much spare change laying around but things were good. I used to save up my money for comics, paperbacks, and going to the movies. Summers were filled with coming to Nebraska to stay at my grandparents house, the Rexall Drug store's comic spinner rack, black cherry soda, the town's swimming pool, ballgames and going to the movies. Of course there was that habit of trying to learn to draw, also. So I guess with all of this I am still trying to talk myself into traveling to see the Captain America movie. As you all know I have a huge fan of the character. For a time I collected anything and everything with Captain America on it. I have Cap gumball machines, soap mits, cards, models, figures, toys, pencil boxes, and of course the comics. So the movie is getting some good reviews. So I am still trying to convince myself to drive over to Beatrice, one of the theaters close to me, and the town I was actually born in..... to feel like a kid again and catch the saturday matinee of Captain America. I never had it as lucky as this kid......but in spirit I was probably a bigger fan. ha. Well, Loyal Legionnaires, I have been down and out for some days with my medical problems, and pretty much confined to the house because of the heat wave here. 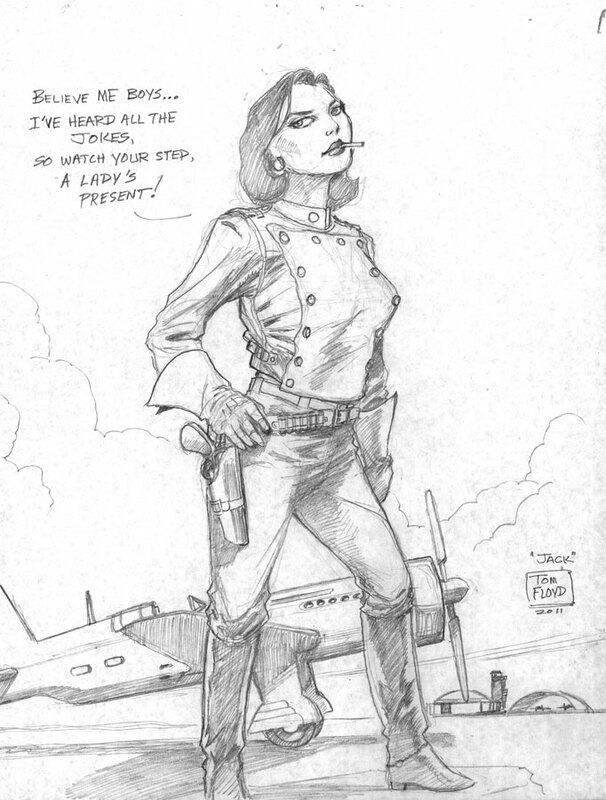 But even being confined to the recliner with my swollen feet and all I have managed to finish some layouts or thumbnails for upcoming pages of 'solo flight'. 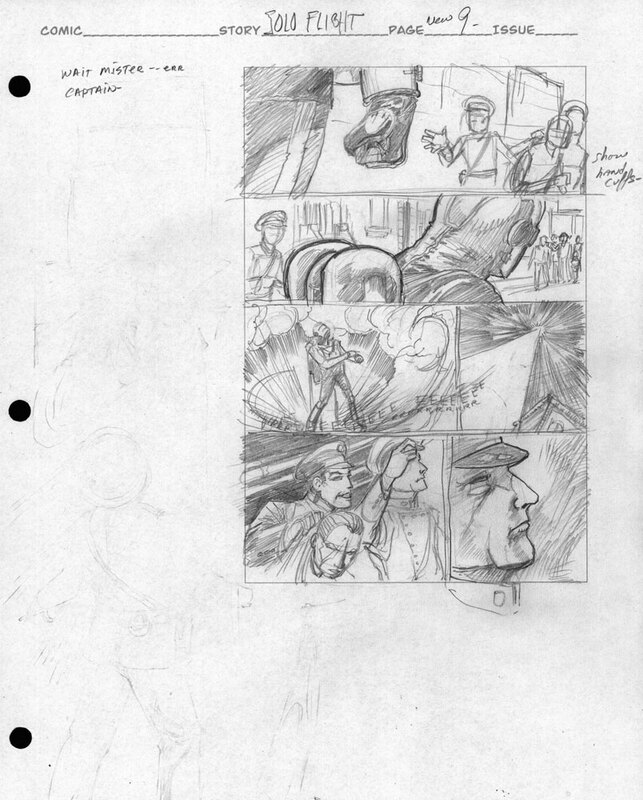 As you can see a bit on this page I wanted to keep the good Captain still somewhat mysterious to the police, so I only show him in pieces and bits, or from the back or in long shots. 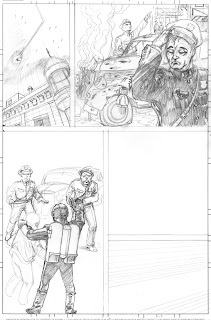 I am also planning on adding the advent of sound effects in this story. 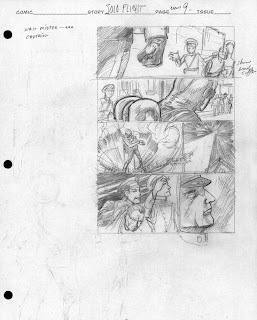 I don't know if anyone noticed but in the close to 100 pages or strips on the site there have not been any on screen sound effects. I am not very good at making up good sound effects or even using them. I feel sometimes they are overused in comics or underused. 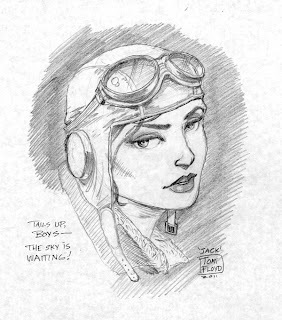 But I do plan to use them in 'solo flight' along with the thought balloon. 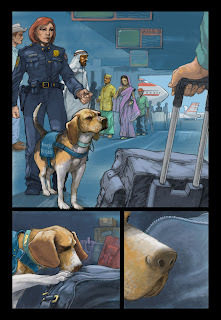 Something I feel is missing in comics are the actual interworkings of the character. 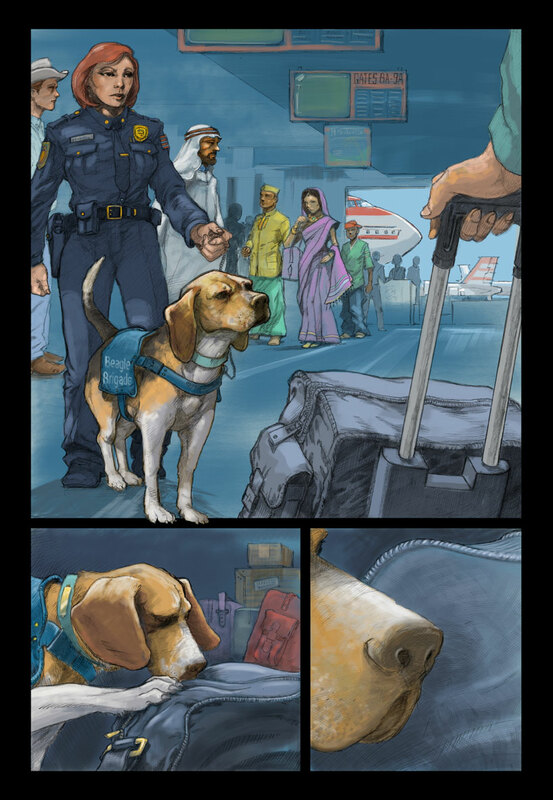 I find anymore in new comics they try to let the art tell all. Well it just can't do it all. 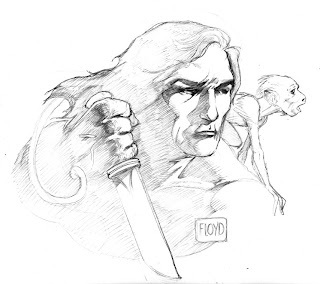 I look at some comics and don't feel a connection to the character shown, or sometimes the art doesn't 'cut it' and I just don't know what is happening, or more precisely just what the hell I am supposed to get out of it. Maybe it is my age, maybe I am trying to get too much out of it, or maybe I am trying to make it too complex, but I just don't get it. I have always been the kind of guy that if I don't like a books art I don't buy it. Especially now a days with the high prices. But the words and connection to the characters have to be there too. I see so many comics now that have pages of six or seven panels that have a character doing something and maybe only one word balloon on it. I see alot of wasted storytelling time. I know some of the major companies have banned the evil thought balloon, but I think something is missing. Also there is the 'new' reader problem. I want to get my books into hands of people that don't read comics on a normal basis. And I see and hear of so many adults that don't know how to read a comic. 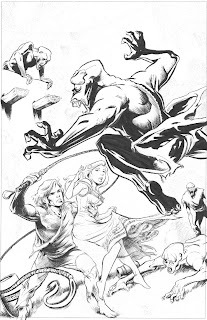 The thought blocks are confusing to people, they don't know who is talking, and I want my book clear and too the point and easy for lapsed readers or new readers to get into, just as much as I do regular comic readers. 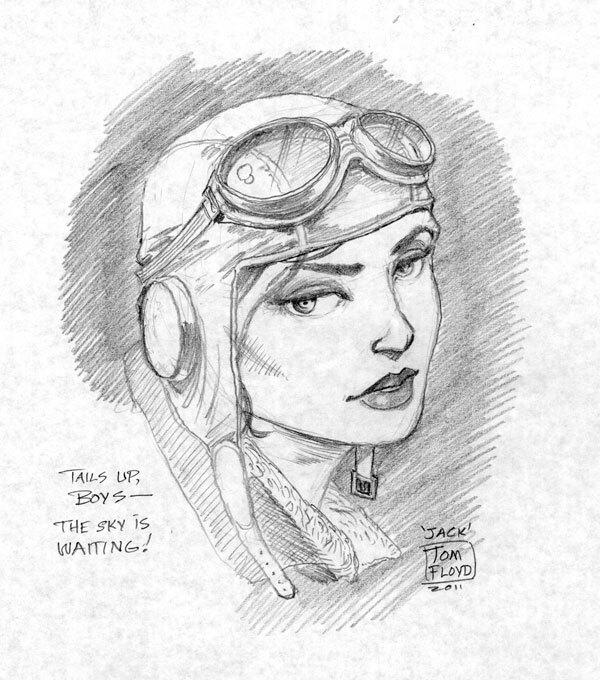 So get ready for sound effects and thought balloons in 'solo flight' when it gets finished. Well, I finally got this thing inked. It took alot longer than I thought it would. Some of the problem was my hand, some was just time as all the weekend of the 4th I was trying to finish a project for work and just didn't have time to ink on this piece. 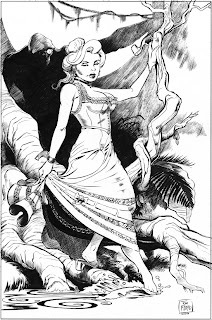 So now I enter the ranks of Mark Schultz, William Stout, Frank Frazetta, St. John and others I am sure that I haven't seen yet - in presenting Number One and Miss Maxon traveling thru the jungle. Well this update will be short and not very sweet. At least not sweet to me. You see in receiving a salary, sometimes when the deadline falls you must obey! 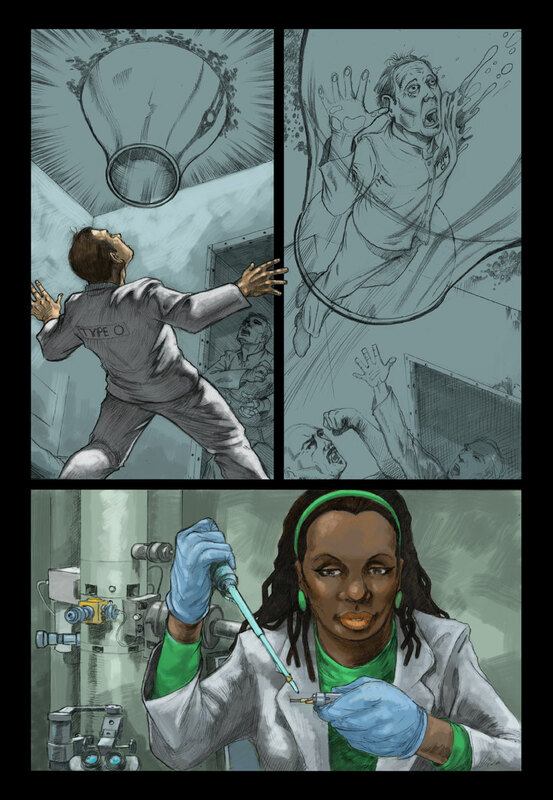 So this weekend I am putting the finishing touches on this science comic for work. Big Sigh! 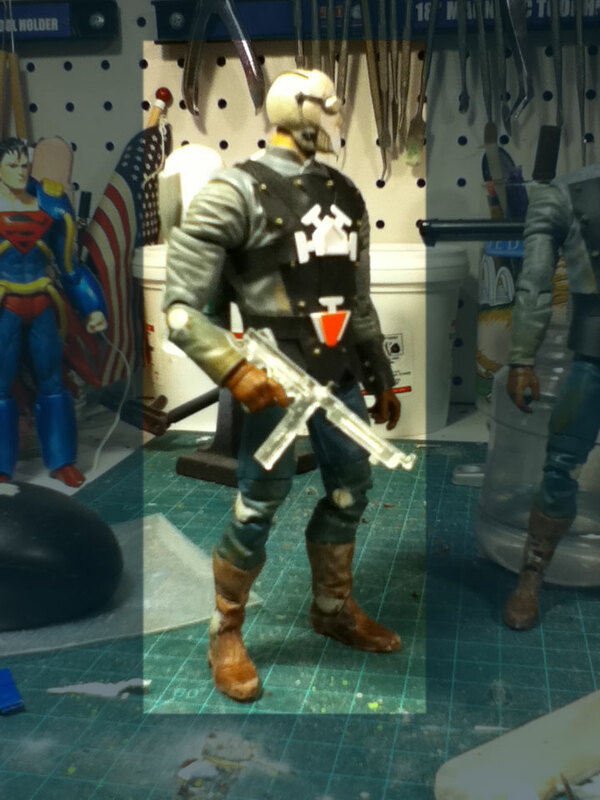 I should be doing another commission that I have to go, and working on some stuff for the upcoming Number 13, and most of all working on Captain Spectre! But alas, I am here working on the last two panels of this science comic. I know there will be a couple more additions and changes so not going to get too worked up. One thing to notice here is the richer colors of these pages. They are for digital release and not for print. So I thought richer colors would be better. 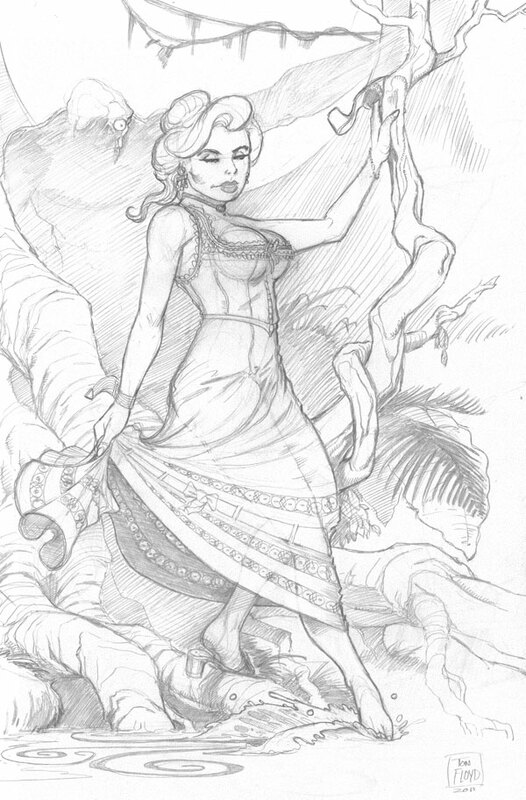 Also these are just dark pencils and not inks. The powers that be discovered Arkham Asylum and wanted something like that. I should also mow today as it has been awhile. So if it doesn't rain later today then that will be on the daily plan. Sorry for the odd update. Hopefully this will be the last time for stuff like this. 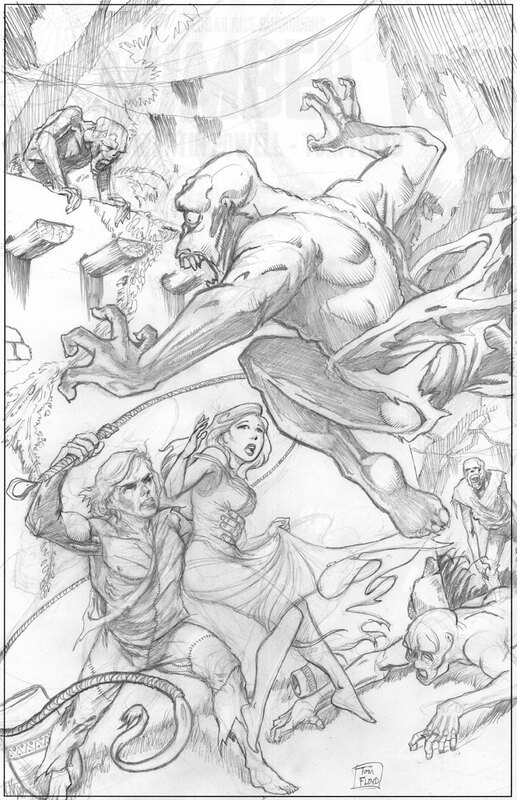 Well here is a stab at the most drawn scene from Edgar Rice Burroughs 'the Monster Men'. 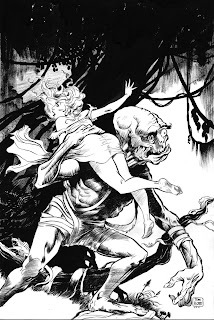 Bill Stout, Mark Schultz, Frank Frazetta, St. John have all done this scene. So I figured I would give it a try. 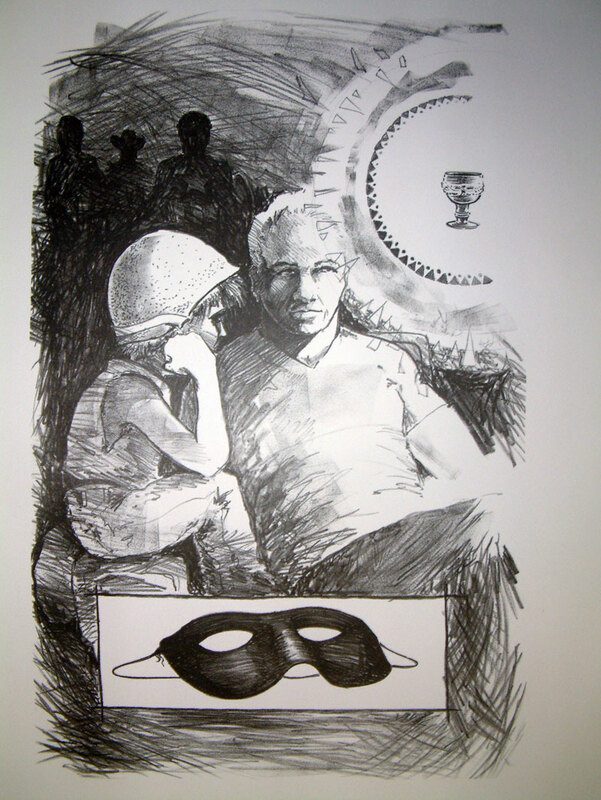 I didn't even know Mark had done a version until this wednesday when I finally got a copy of his great sketchbook Vol. 5. I got it home and opened it up and bang there was a drawing of Number 13 and Number 1 fighting, which was something not done yet with it. Then a commission piece of this scene. I had previously drawn a version but when I saw Mark's I just tore mine up and threw it away. The pose was almost exactly the same. 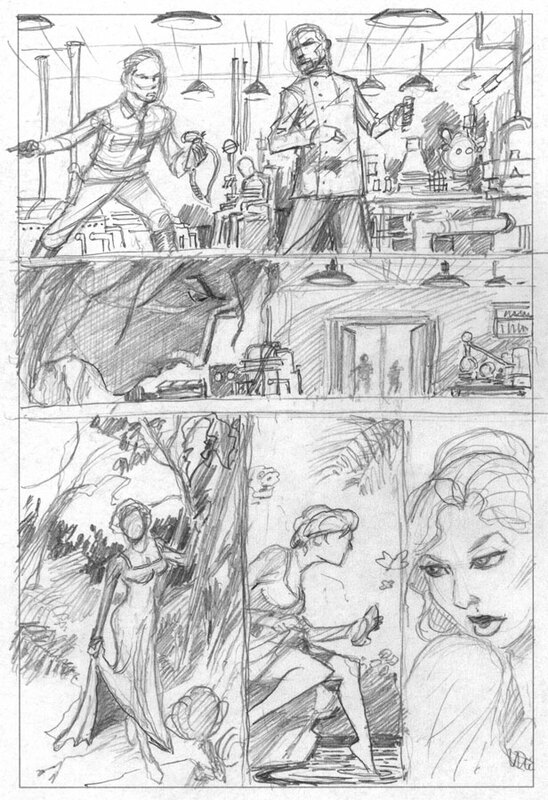 So anyway here are the pencils. 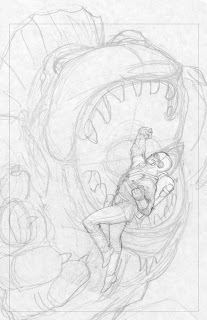 I am pretty sure it won't be the cover but it might be a splash page or something if I am lucky. 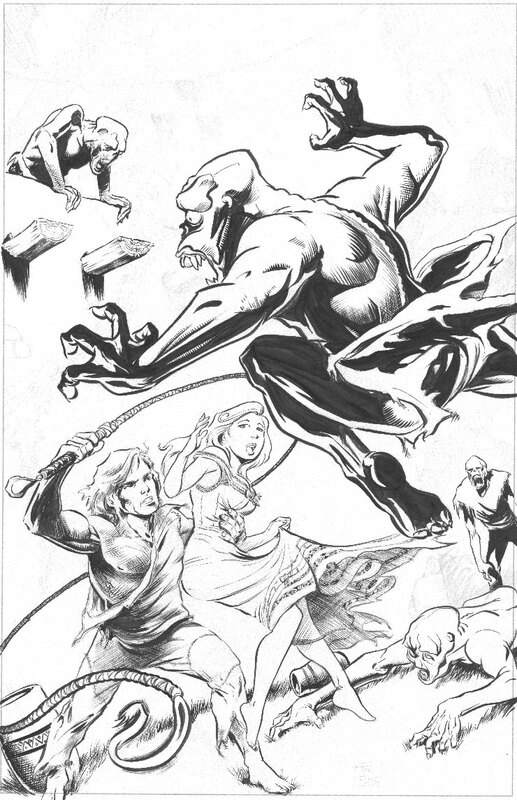 Here are the inks as they stand Sunday evening.....it is a very slow process right now. My hand is giving me fits lately. 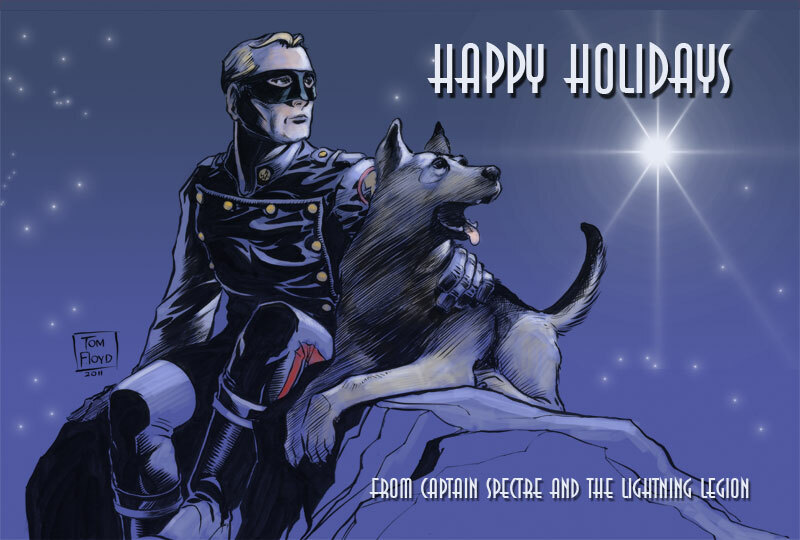 So anyway enjoy Loyal Legionnaires, and I promise more Captain Spectre very soon. I still have a couple of commissions to knock out from my friends fund drive I was working on. But Captain Spectre pages are boiling on my workbench to be done. And in my mind. Thanks for tuning in. Oh, I also added a blog roll over on the right side, down a bit....blogs I follow as they update will be at the top. As I installed this gadget there were 128 blogs I follow on my list...sheesh. But as they post they will drift up. So enjoy that small addition too. It's all about the links and traffic, Legionnaires. 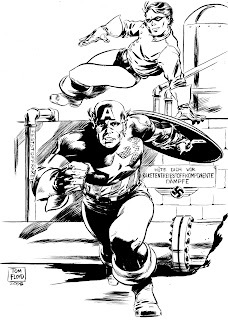 I had an idea for a WW2 era Captain America and Bucky drawing. I loved those Kirby issues where the acrobatics were part of their character. They worked as a team facing all obstructions. 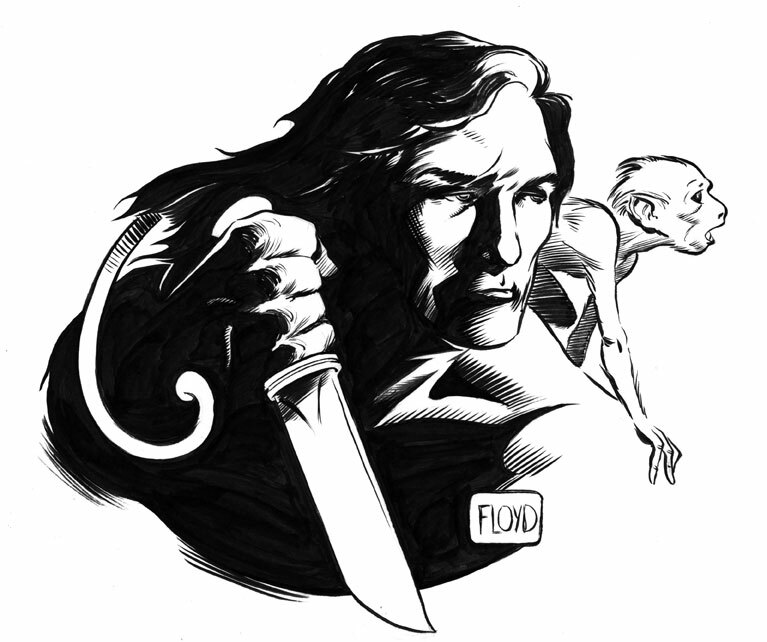 I also tried my hand at inking in solid bold strokes kind of like Chic Stone. 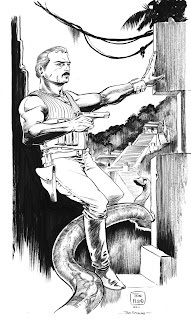 His inking was so solid that Jacks figures just leapt off the page. I did this drawing on spec. Maybe someone will buy it, as I still have until the end of the month to hand over the money to my friend in need. Anyway it is inked, on 11x17 plate finish strathmore board. 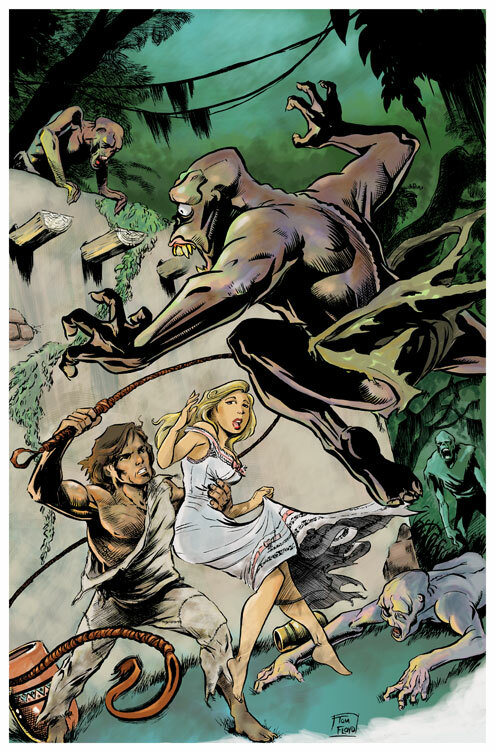 This is a version of the above colored with the limited palette of the old comics industry. I have been playing with different ways to color my images in prep for deciding which way I want to color 'Solo Flight' when I get it all done. 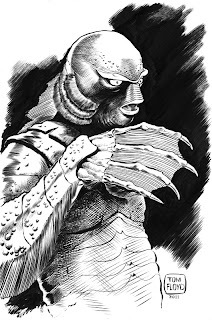 I did this Creature on spec to start off the commissions, and it sold....thanks David....I had never drawn a creature before, except when I was a kid I tried it a few times after seeing the movies. My favorite Universal monster as when I was a kid I was a big fan of scuba diving. Loved all the shows like Sea Hunt, Aquanauts, and the movies like Voyage to the Bottom of the Sea. I ended up getting my aqua lung license and doing some diving in some off time in the service. Last real dive I made was in the East China Sea many years ago. Couldn't do any of it now a days, but I do fondly remember it. Deep sea adventures and space stuff were high on my list of kid dreams. This was a commission I knocked out this past week also, from a friend who used to game with a small group I was part of a few years ago. 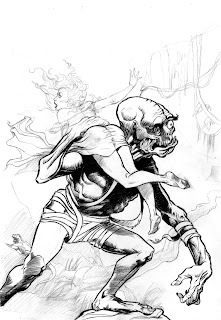 He was rereading the first Burroughs' Mars books and wanted a shot of John Carter. 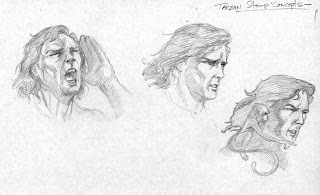 When I was a kid I was always a bigger fan of the Tarzan stuff than the Mars stuff. And that has kind of carried over. 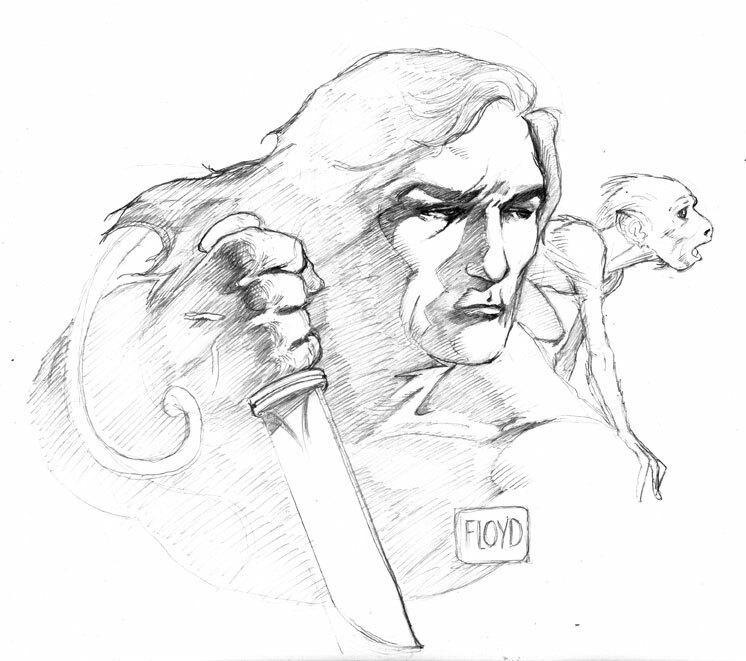 I tend to not draw John Carter but this was one of the first I had ever done, and finished to this stage. 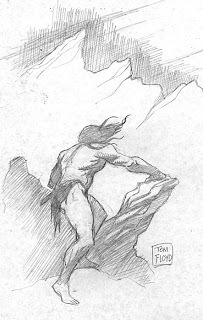 I guess access as a kid is a big thing...there were the great Tarzan movies with Johnny Weissmuller, comic books, and the novels. 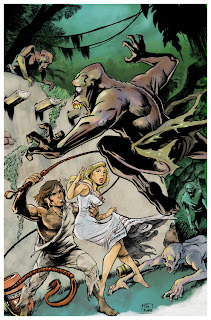 I always enjoyed the mars books, just preferred the jungle adventures. I would think in todays world, off world adventures is the next frontier. When I was a kid Africa was still mysterious, not that it still isn't...just we have taken some of it away. 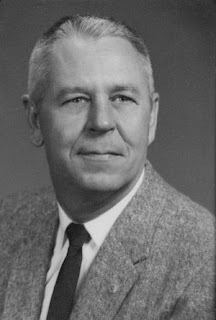 So on this father's day I would like to salute my dad. We had our differences for sure. But I never really got to know him. He died when I was young. But that made him more of a legend in my eyes than ever. He was a mystery to me, but he was my dad. I spent a good deal of my life as a diesel mechanic because of his ghost. I wanted to be as good a mechanic as him. Hell I wanted to be able to anything as good as he could. But I never made it. I was a good mechanic, but I was never a builder like him. I felt he could do anything. He built a swing set for me and my brother when we were kids, and that swing set still stands today. I imagine that when the world is finally blown apart in some horrific event that a chunk of earth will float off into the cosmos with that damned swing set still intact. So happy Father's Day to you dad...and happy father's day to my sons who are fathers and doing a better job at it than I ever did. Sorry for the late of updates lately....just busy as can be with things. Here is a very long overdue ERB commission that I finished up finally. I am sure the owner of the book will be glad to have it back. I am sure he thinks I ran off with it never to return it. ha. It's tough to draw right in a book, as I kid I never drew in books, or even dog eared the pages. So actually trying to draw in one it a tough mental thing to get over. Plus usually the paper is terrible for marker art at a con. 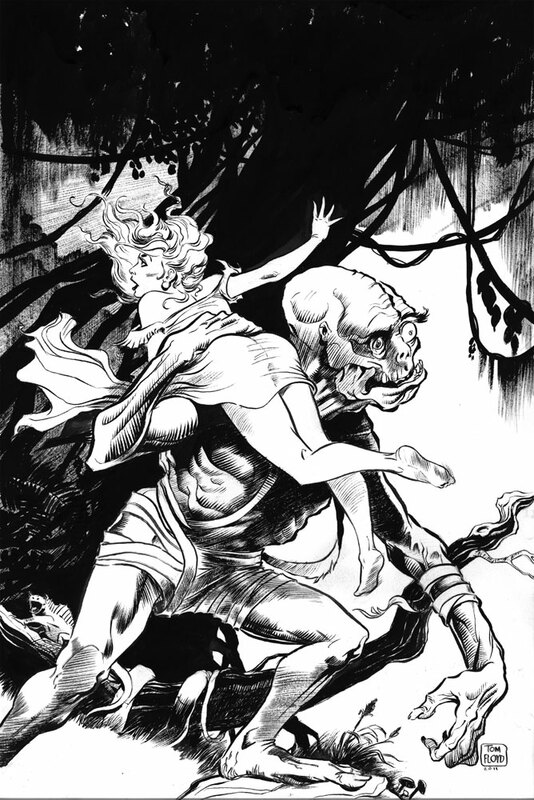 So was glad to bring this one home and work with ink and brush on this one. Anyway will box it up tomorrow and send it on it's way. Also I usually don't do any commissions or anything, just don't have the time with all that goes on. But I am opening up some time to do some commissions this coming week. I have a friend in need. He needs some money fast, like by the end of the month. 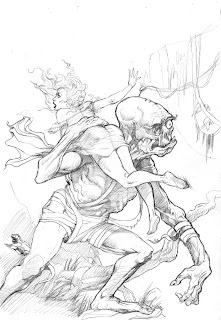 So I have some Spider art I could sell from the prose Moonstone Spider book. Or I could do original things, which I would prefer to do. Anyway you guys know my range of things. 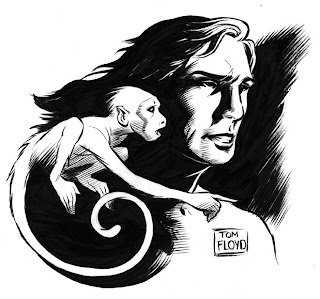 Adventure, pulp, early sci fi types of things. Please don't ask me to do 'odd' stuff, if you know what I mean. Anyway I am just going to give the money to my friend to help him out. I am trying to get my good karma built up I guess. Just seemed like the only thing I can do to help him out. I don't have savings or anything to pull from, just freeing up some time to do some drawing. 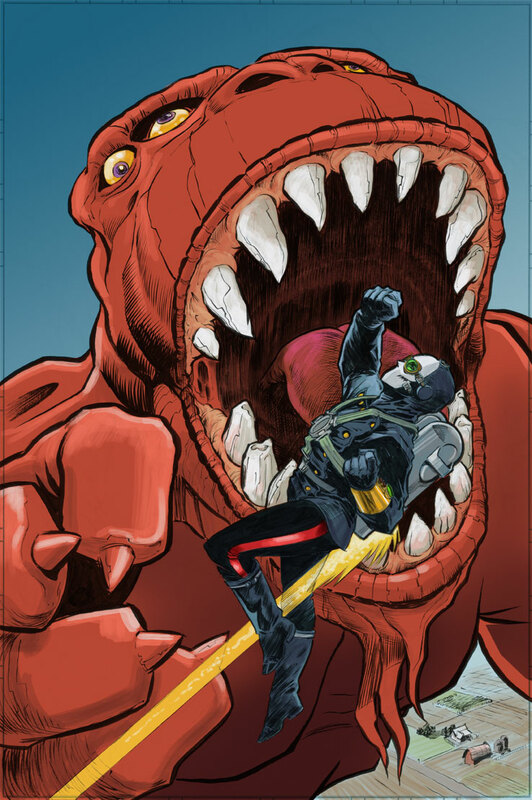 So if you can help and get some art you like let me know, Legionnaires. Email me and let me know...we will talk about it.